Games News: $5. Any. Chicken. Entrée. You. Want. $5. Any. Chicken. Entrée. You. Want. 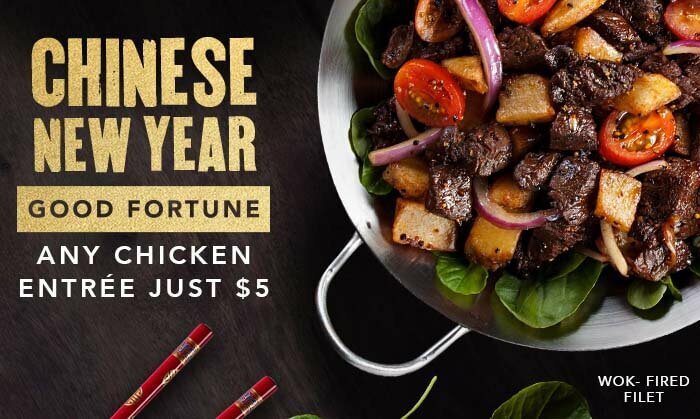 *Offer valid for one Chicken Entrée for $5.00 with the purchase of an entrée. 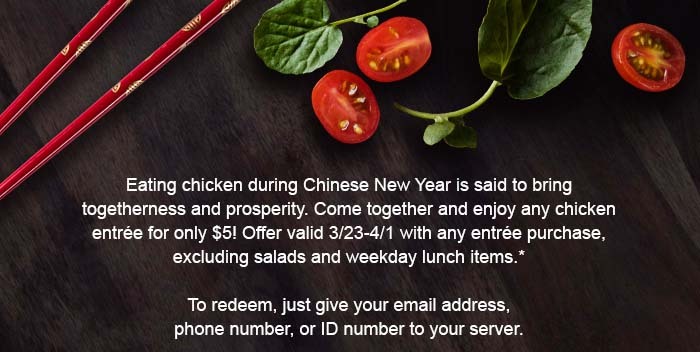 Valid for in-restaurant purchases 3/23/19 -4/1/19, at participating P.F. Chang's restaurants excluding Hawaii, Puerto Rico, airport locations, and international locations. Limit one offer redemption per visit. Single-use offer. 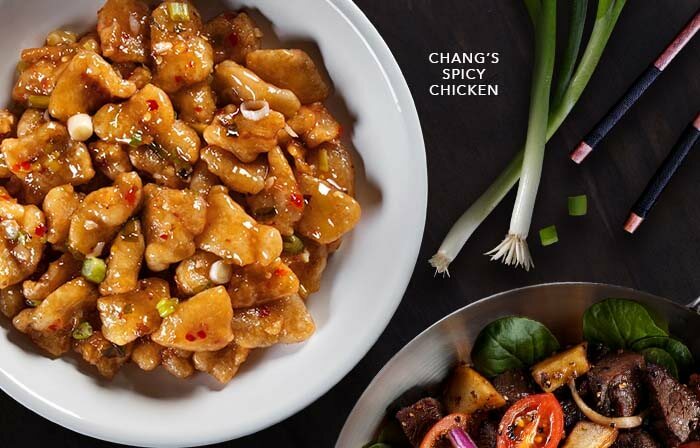 Eligible entrée purchase does not include items on the weekday lunch menu, salads, Chang's for Two or Catering menus. If order includes two or more chicken entrées, the lowest-priced chicken entrée will be discounted. Charges for add-ons not included. Offer valid for dine-in purchases only. Cannot be combined with any other reward or offer. No cash value. Not valid for third-party delivery services' orders. Void where prohibited.